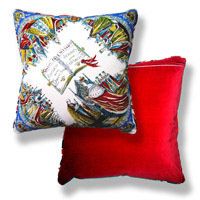 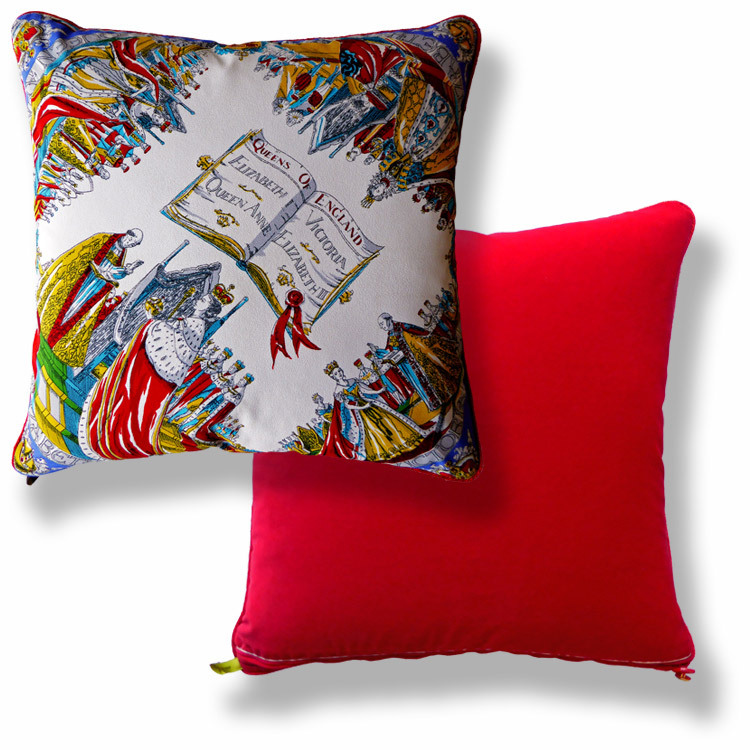 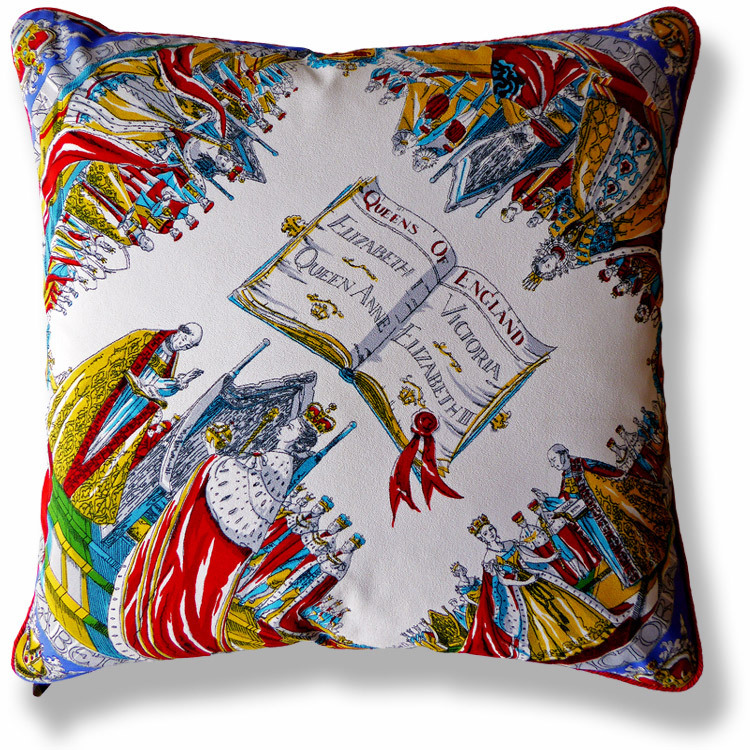 British bespoke luxury cushion using original vintage textiles commemorating the Queen's 1953 Coronation. 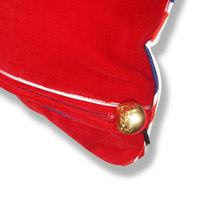 An event marked by the production of British made souvenir fabrics. 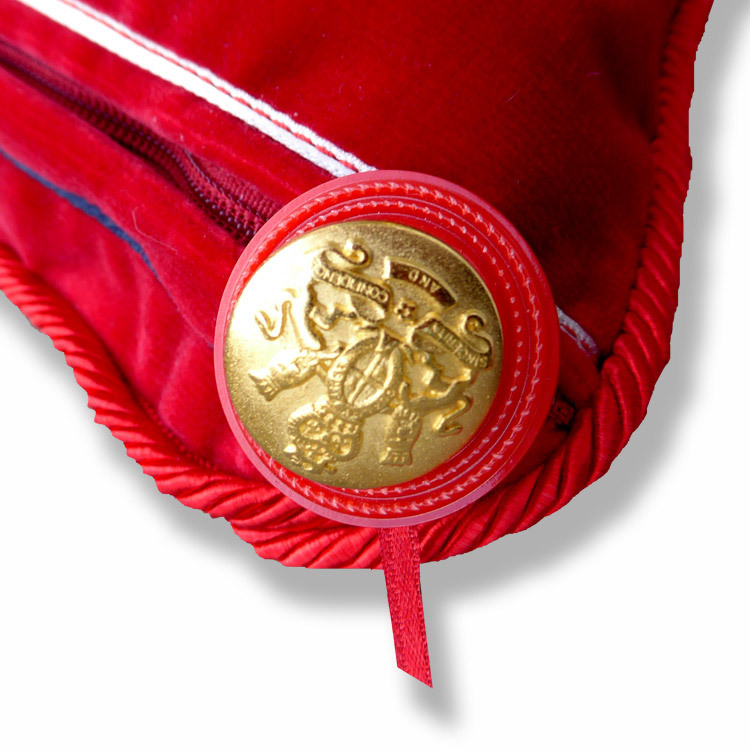 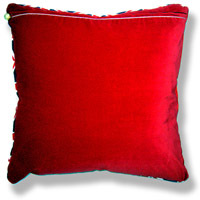 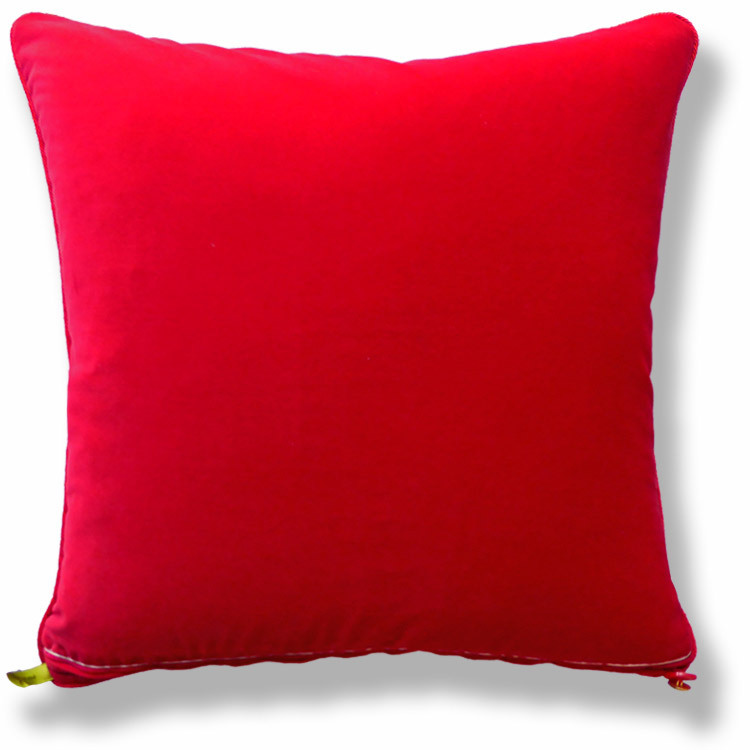 Complimented on the reverse in fifties plush vibrant red velvet.